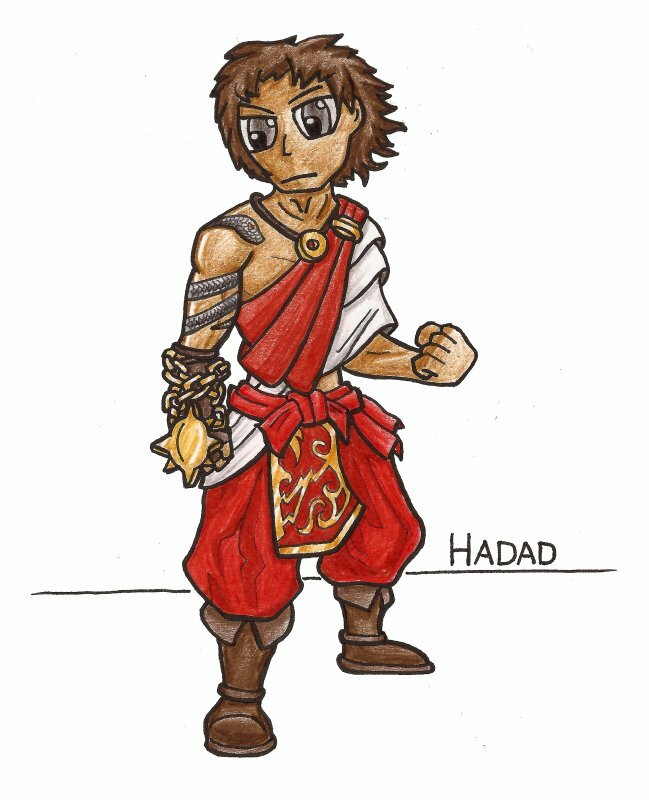 Continuing on with character art, here is Greg’s character – Hadad, drawn to a written description. Hadad was quite an interesting challenge to draw, because I haven’t drawn many male characters at this size. Usually I fill block areas on a character portrait with extra details, but Hadad’s style is very simple, which meant I have far less leeway to cover errors or problems with his bodyshape. Quite pleased overall though.